Kyle Busch, driver of the No. 18 M&M’S Toyota for Joe Gibbs Racing (JGR), knows plenty about winning. He’s the winner of 54 career Monster Energy NASCAR Cup Series races, which includes his eighth career win at last weekend’s venue, Bristol (Tenn.) Motor Speedway. By voting in this year’s M&M’S Flavor Vote, fans will be entered for the chance to win a trip to all three countries that inspired the new flavors: Mexico, Thailand and England. Fans can try each new flavor and cast a vote online at www.flavorvote.mms.com, or text the word “Vote” to 84444 and follow the instructions in the reply text messages. After voting closes May 17, the flavor with the most votes will be announced in August. If only Clint Bowyer had met H.G. Wells. Wells, the science fiction author who wrote the 1895 novella The Time Machine, is credited with the concept of time travel using a machine that’s spawned loads of movies and television shows. Bowyer said he wishes he had a time machine for racing purposes so he could race in different decades against the NASCAR heroes of each era. “The coolest thing for me would be to invent a time machine where you could go back, click into the '60s, and be in the car racing, with Ralph Earnhardt and Ned Jarrett and those guys,” said Bowyer. Bowyer won’t need the time machine to go back in time when he races his No. 14 Haas Automation Ford Mustang for Stewart-Haas Racing (SHR) in the Monster Energy NASCAR Cup Series race at Richmond (Va.) Raceway. The Virginia track is a glimpse into the future of all race facilities. A $30 million redevelopment project included a redesign of the entire infield with driver Q&A’s, music, food and everything fans asked for in a race experience. The Richmond infield is its own village with access to the Cup cars and teams. The .75-mile oval also retains its historic short track flare. It staged its first Cup Series race in 1953 when Lee Petty took the checkered flag. There have been 125 Cup races at Richmond and Bowyer is proud he’s won two of those races. Bowyer has raced well over his career on the Virginia track. In addition to the two victories he owns four top-five and 14 top-10s in 26 starts. He arrives at Richmond on a roll after a seventh-place finish at Bristol (Tenn.) Motor Speedway where he led 24 laps and looked to be a contender for the victory before a late race accident dropped him to midpack. He rallied for his third consecutive and 200th top-10 finish in his career. Bowyer is now 11th in points. Bowyer hopes to move into the top-10 in the standings before the Cup Series takes a weekend off after the Richmond race then resumes its schedule on April 21 at Talladega (Ala.) Superspeedway. Like most drivers and crew members, Bowyer will spend the rare off weekend with family even though that might not be in his nature. 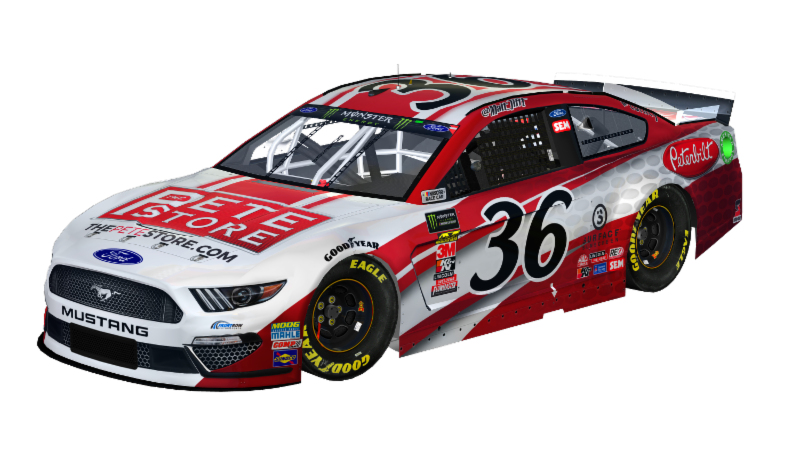 Races before the off-weekends seemed like prime motivation for SHR’s Fords in 2018. There were only three off weekends on the calendar, and Bowyer won at Martinsville and Michigan the final races before the first two off weekends. His then SHR teammate Kurt Busch won at Bristol in August, the race before the final off weekend of the season. Bowyer wouldn’t mind a repeat visit to victory lane at Richmond this weekend. That’s a trip back in time he’ll always enjoy. Former NASCAR drivers Blake Koch and Dale Earnhardt Jr. today announced a new partnership in FilterTime®, a company that provides homeowners and business owners an easy and affordable path to receiving and replacing air filters.